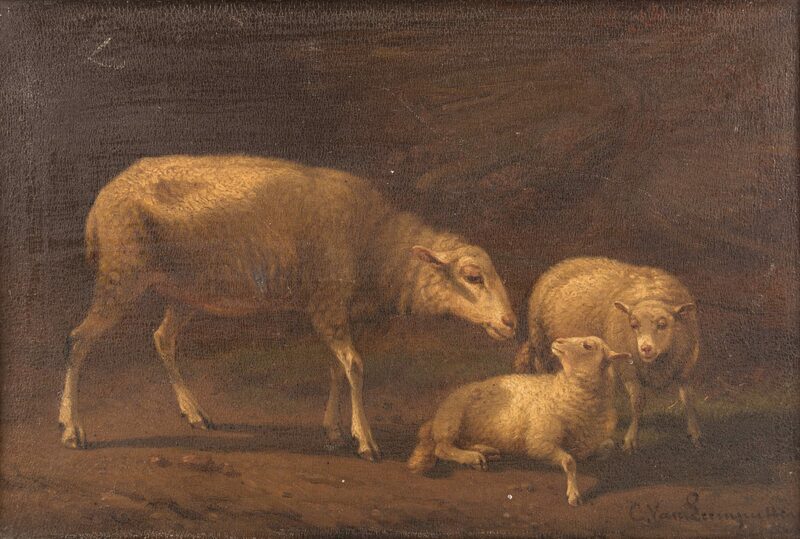 Cornelius van Leemputten (Belgium, Netherlands, 1841-1902) oil on board painting of three sheep, one resting, on a dirt path with grass and rocks in background. 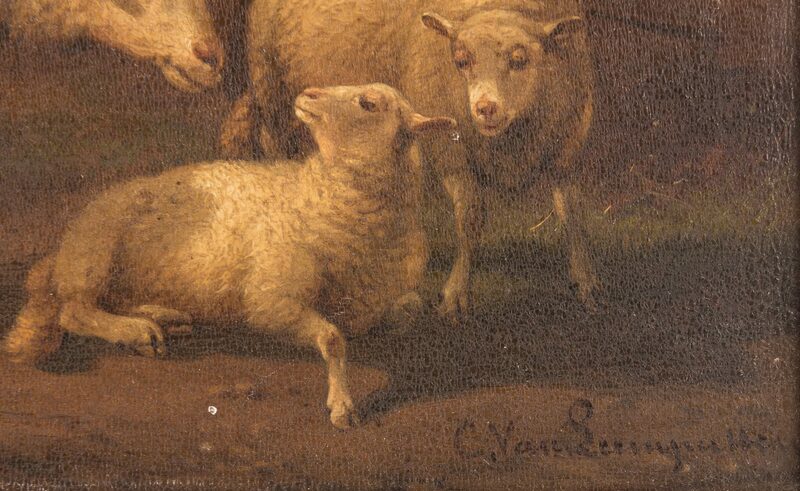 Signed, C. Van Leemputten, lower right. Housed in a 20th century gilt paneled frame. 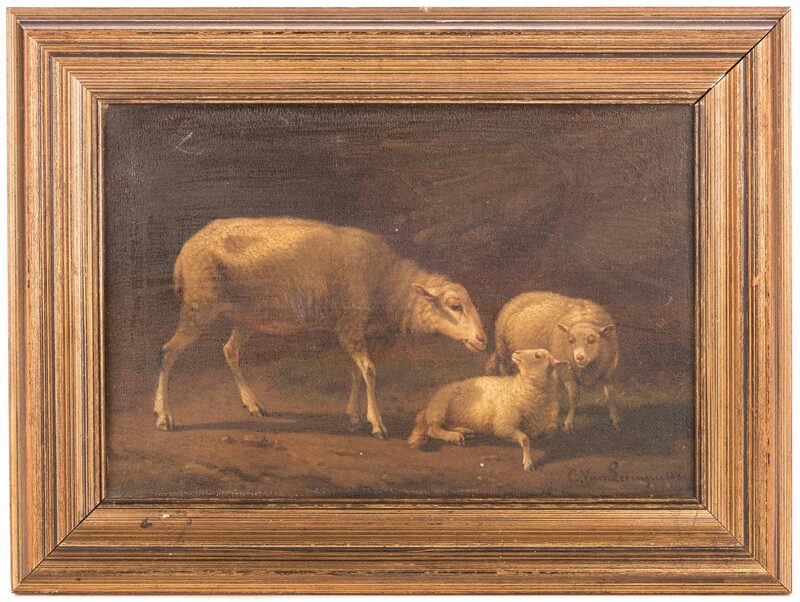 Sight – 6" H x 9" W. Framed – 9" H x 11-3/4" W. European, late 19th century. 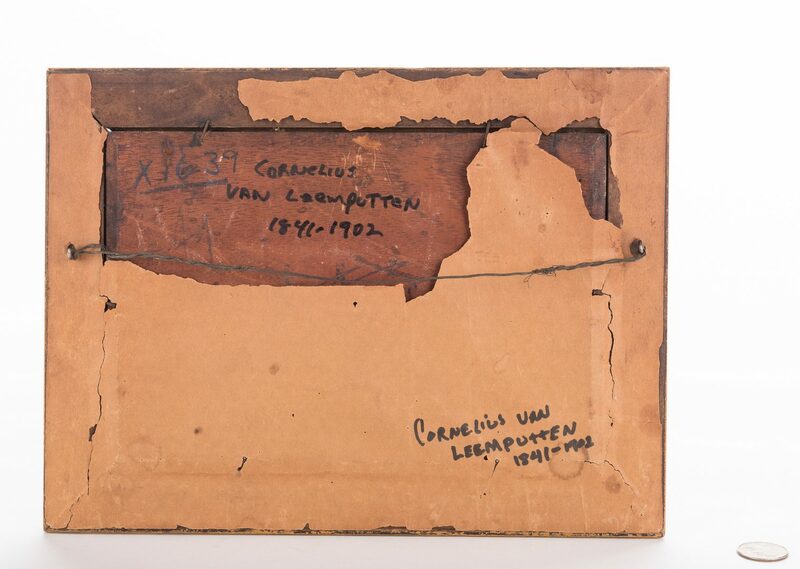 CONDITION: Overall craquelure. Heavy varnish and some surface grime. 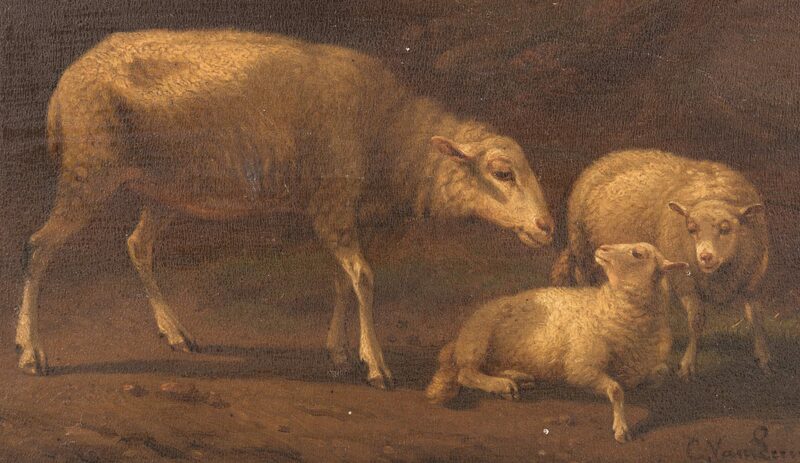 Small repair (1/16") on chest of largest sheep.